Please view the information below to find out about our links with the school Saint Joseph in Carquefou and our links with Malawi. To see our Scheme of Work for Modern Foreign Languages please click here. 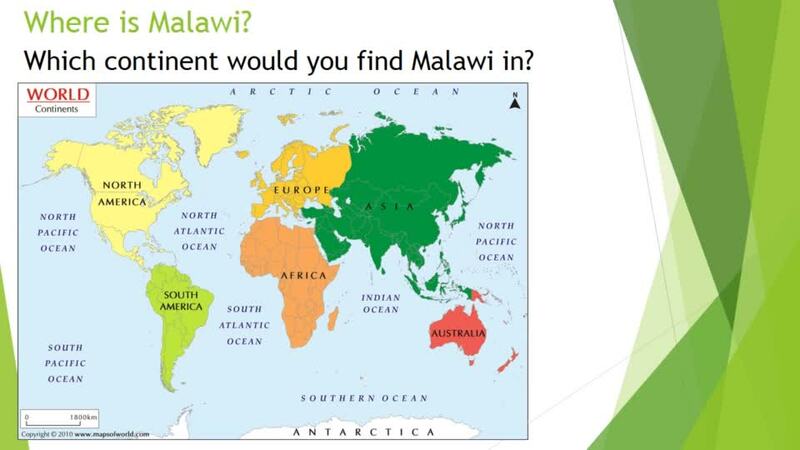 We have developed a strong link between our two schools to enable our children to find out about the experience of pupils living in a different country. In the picture below, you can see children from Madame Le Normand's classes learning about our school by visiting our school website! Saint Joseph School has 22 classes, for pupils aged 3-10 years. Children in Year 5 write letters and postcards to children of the same age at Saint Joseph and we always look forward to reading the letters and postcards that we receive in return! You can visit Saint Joseph's website by clicking here. You can click on 'google translate' to translate the text into English if you wish! We are always very excited to receive a big envelope with all the letters from our French pen friends! Our French pen friends open their letters at St Joseph, Carquefou. Please click on the first image below to view the photographs. Copley children open their letters from their pen friends in Carquefou. Our French penfriends sent us some photos so we could see how the Skyping looked in their classroom too. We were delighted to receive beautiful Christmas cards from our French pen pals and we sent cards back to wish our French friends 'un Joyeux Noel'. In the photos below you can see our French penfriends holding cards they have received from Copley, the Christmas cards they have made for us and a photo of us sharing them via Skype. We learned two songs, 'Toc…toc…toc…Père Noël frappe à la porte’ in French and 'Santa Claus is coming to town'. We used Skype to perform 'Toc…toc…toc…Père Noël frappe à la porte’ and watched our penfriends performing it so we could further improve our pronunciation of the French vocabulary. In the photographs below you can see our French pen friends receiving their 'Happy New Year' cards from Copley. We shared how we commemorate Remembrance Day in our two schools. At St Joseph, Elouen prepared a presentation about Remembrance Day and made poppies to give to everyone in class. We shared information about our fund raising for the British Legion and our Remembrance Day displays. We have kept in touch with our French penfriends by sending them an Easter card and we enjoyed receiving cards in return. Our pen friends write to us in French so this helps us to develop our French language skills. Our French penfriends received our cards just before Saint Joseph School closed for their Easter holiday. As we attended St Mary's Church for our Easter service, our French friends attended Saint Pierre Church in Carquefou for their Easter service so we exchanged some photos. 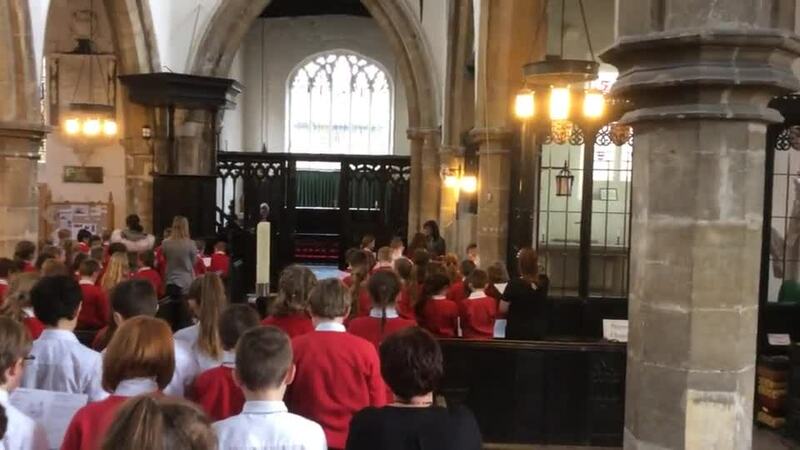 Easter Service at St Mary's - We celebrated Easter at St Mary's Church with poetry, hymns and prayers. 'Easter Jubilation' is one of the children's favourite Easter hymns as you can see in the clip below. Easter Service at Saint Pierre Church, Carquefou - We greatly enjoyed seeing the photos of our French friends celebrating their Easter service. Our French penfriends went on an exciting residential visit to Normandy and Jersey and we enjoyed looking at all the photos on their website. When they were back at school the pupils at St Joseph wrote lovely letters to their Copley penfriends to share the details of their visit. Copley children thoroughly enjoyed their visit to Robinwood and we sent postcards to our French penfriends. Our French pen friends translated our postcards into French: "Nous sommes allés dans un lieu fantastique pendant trois jours. Nous sommes partis le 25 avril et sommes revenus le vendredi 27 avril. Nous étions au château de Dobroyd. Nous avons participé à des activités très intéressantes comme l’escalade, la balançoire géante, le tir à l’arc, le défi des caisses et la tyrolienne. Nous nous sommes beaucoup amusés!" Pictured below are some of our French penfriends with the postcards we sent to them. We decided to take photographs from the windows of our two schools to share the different seasons with each other. It is rare to see snow in Carquefou, so the pupils were very excited and Madame Le Normand was quick to reach for her camera! Our Eco Council has been active in developing a link with a school in Malawi. They consulted with Copley pupils to draw up a list of questions to find out about life and the schools in Malawi and we were delighted to receive the answers back from Mr Barnes who has spent a year supporting schools in Malawi. The Eco Council then prepared a PowerPoint and led an assembly to share the information with everyone. Well done and thank you to the Eco Council and Miss Walker!